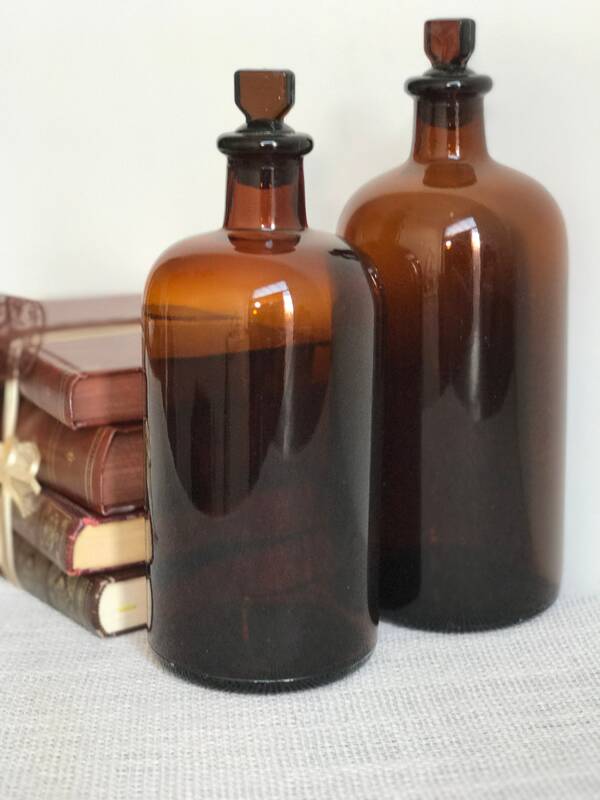 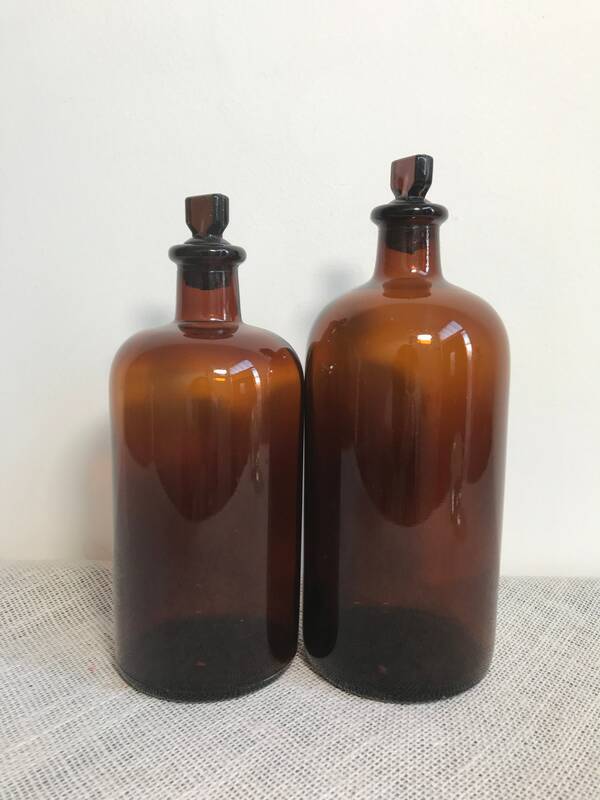 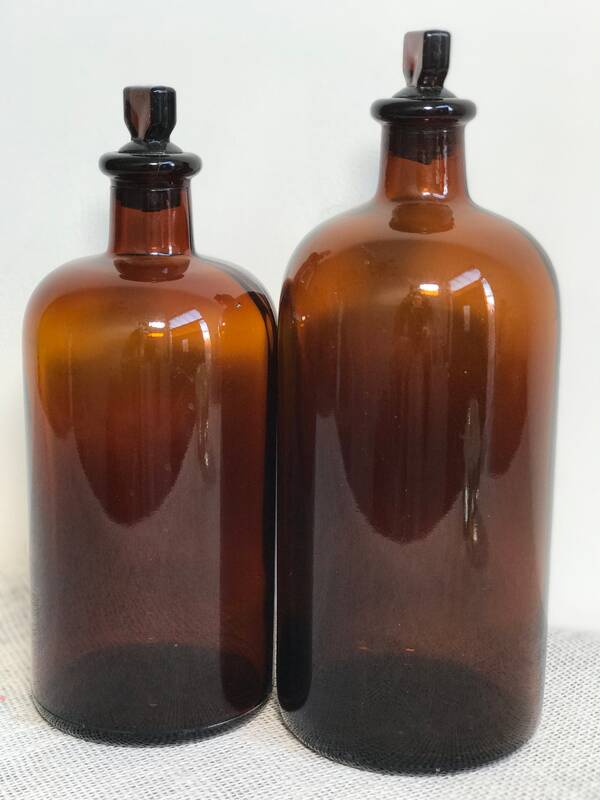 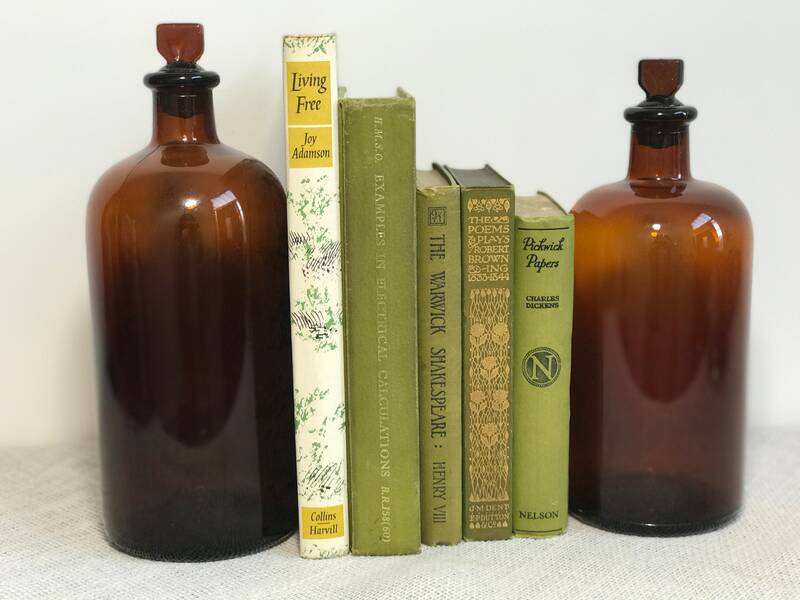 Are you a collector of antique or vintage bottles, apothecary bottles, poison bottles or just love amber glass? 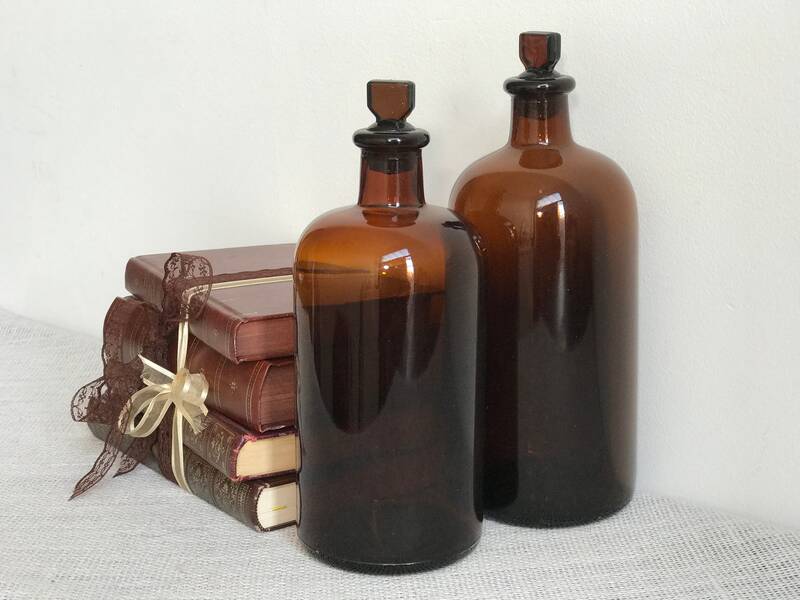 Then these two lovely old beauties will be of interest to you. 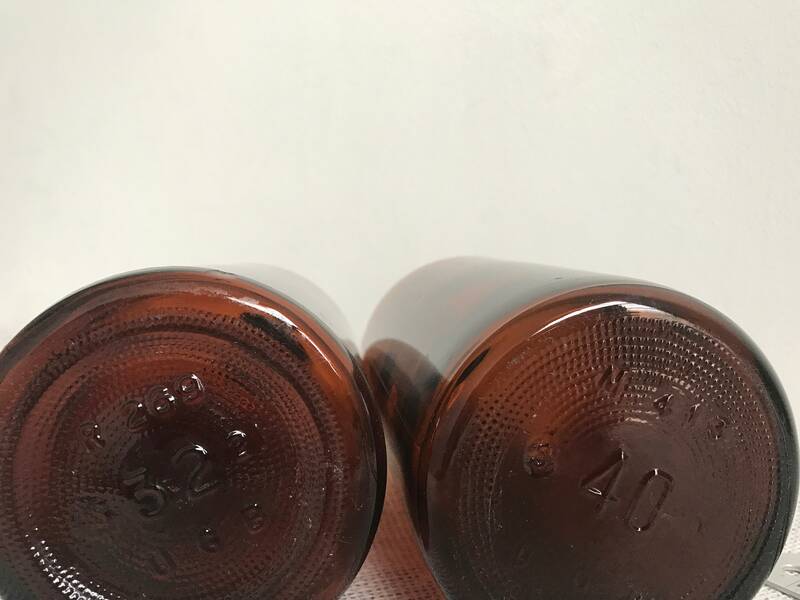 Both bottles come wth glass stoppers. 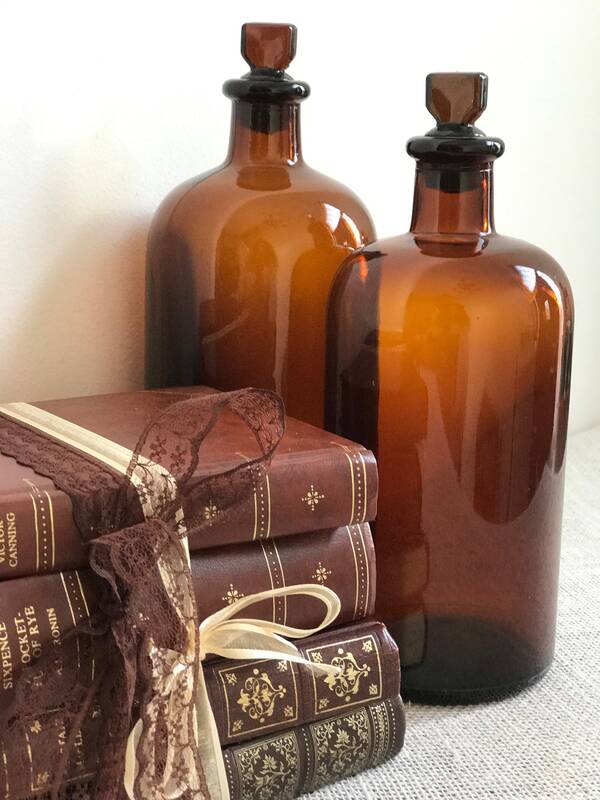 These bottles make beautiful photography props!